We’re a locally owned, full-service tree care company based in downtown Lexington, KY. We’re a mom-and-pop business and we’re also Lexington’s ONLY TCIA Accredited tree service. We’re proud to say that our ISA Certified Arborists and tree experts are the leaders in Lexington’s tree care industry. We take great pride in the work we do and we look forward to the opportunity to care for your trees. 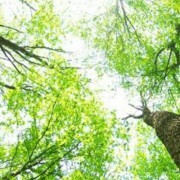 Our mission is grounded in the principles of tree preservation and environmental stewardship. We value the trees in our community and we strive to keep them healthy and safe. We are committed to meeting the internationally recognized standards of our industry and the Best Management Practices for each of the services we provide. We believe wholeheartedly that taking good care of our trees is one of the most environmentally responsible decisions we can make. In addition to pruning and preservation practices, we offer eco-friendly insect and disease management, focusing on OMRI-listed organic treatments and delivery methods that are safe for honey bees and beneficial insects. We’re invested in our community and we want to build lasting relationships with our clients and their trees. This means providing lasting care. Many of the tree species in our community are long-lived and have the potential to thrive for generations to come. We believe that responsible, knowledgeable tree care is fundamental to maintaining and improving our collective urban canopy for our children and grandchildren. The work we do now impacts the future. Our elite team of ISA Certified Arborists and tree experts is led by one of the select few ISA Board Certified Master Arborists in Kentucky. 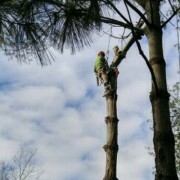 We have two TRAQ-qualified Tree Risk Assessors on our team, as well as a TCIA Certified Tree Care Safety Professional. We are the only TCIA Accredited tree company in Lexington. Being the best at what we do is part of our job. We’re licensed and properly insured for the services we provide. Town Branch Tree Experts, Inc. is a proud member of Local First Lexington, the Better Business Bureau of Central Kentucky, Lexington Home Builders Association and the Tree Care Industry Association. 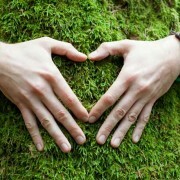 We are a Live Green Lexington Business Partner, which requires a commitment to environmental responsibility. Our team members are professional members of the Kentucky Arborists Association. 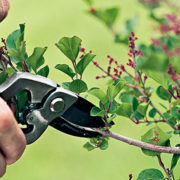 Pruning – Often referred to as tree trimming, pruning is performed to enhance the overall health and safety of a tree. Trees may be pruned to remove dead or broken branches in the canopy, to improve branch structure and to increase clearance space (house, garage, driveway, sidewalk). 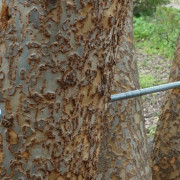 Pruning can also restore a tree where damage has occurred. Plant Health Care (PHC) – Even healthy trees are subject to environmental stress from time to time. PHC services include holistic insect and disease management, proper mulching and fertilization as well as soil mitigation practices, often performed with high-volume air to protect the root system and improve the growing conditions of the tree. Tree Removal – When the time comes to remove a tree, safety is our first priority. Advanced rigging techniques are utilized to assure a low-impact and safe removal. We provide stump grinding services to allow for either turf or a replacement tree to be planted in or near the removal site. We recommend replacing any tree that is removed to preserve our collective urban canopy. Insect and Disease Management – Many insects and disease problems can be prevented by correcting cultural conditions and sources of stress. With active infestations or infections, we utilize eco-friendly treatments or delivery methods to ensure minimal environmental impact. We offer OMRI-listed organic treatment options for many pests. 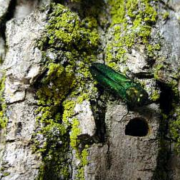 Tree Preservation – Preservation practices help ensure the viability and safety of a tree for the long haul. In some cases, trees need special cable or brace systems to add supplemental support to weak branch unions. Other trees may benefit from lightning protection systems. All trees benefit from proper mulching- one of the easiest practices to improve and preserve a tree’s health. Consulting Services – Consulting services provide comprehensive, objective viewpoints into the diagnosis, appraisal, and evaluation of most any issue concerning your tree. Consulting services may include tree valuations for property owners and insurance companies, reports, management plans, and tree risk assessment. Preventing damage to trees during construction is one of the most common reasons for a consultation. We are all proud Lexingtonians! And we’re your neighbors. Every dollar you spend with us supports the local economy. It helps us buy our kids’ swim lessons and shop at the Farmers’ Market or local brewery. Six ISA Certified Arborists, two Tree Risk Assessors, a Certified Tree Care Safety Professional – all led by one of Lexington’s elite ISA Board Certified Master Arborists. We’re proud of our credentials. We know trees. Our fully insured and technically skilled team members look out for one another. They look out for your property, too. Each one of our arborists is extensively trained in safe work practices. Our safety culture sets us apart. Taking good care of your trees is one of the most environmentally responsible decisions you can make. This is our guiding principle. It’s why we do this work. It makes a difference for our Earth. Our team is conscientious, knowledgeable and highly skilled. We strive to approach your trees and property with the same level of care and respect that we do with our own. We know that responsive and friendly customer service leads to lasting relationships. We’re dedicated to our clients. Our culture is all about community. We hope to hear from you.